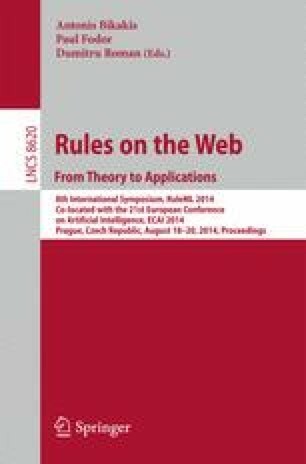 Automated support to model and reason based on such modeled legal norms using expert systems, for its use scenarios such as court-fillings or argumentation has increasingly become a subject of interest in last few decades. The core problem in all such automation is removing the vagueness embedded within legal texts/sections and this vagueness is due to the pragmatics involved. As of today, we believe, it is impossible for a system to handle any such problems dealing with legal pragmatics. This work proposes a process which acts a bridge between a legal practitioner can and a knowledge modeler wherein, a legal practitioner provides the legal information pertaining to a section in a simpler form as required by the modeler. We also propose several knowledge representation formats to represent the information at each layer of the proposed process. Additionally during the course of the paper, we propose a mapping scheme from legal norms in natural language format to Controlled Natural Language (CNL) format and finally to a platform independent rule representation format.